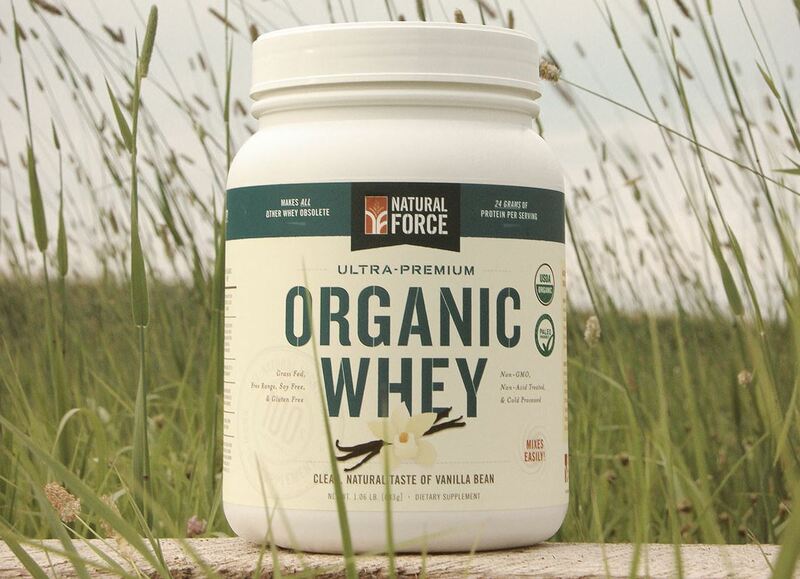 Natural Force is an incredible brand in the sports nutrition world, driven by their mission to provide quality training supplements that are ‘BS Free.’ Protein powder is one of their strong suits—shown in their grass-fed organic whey protein powder. The Natural Force Organic Whey Protein powder delivers serious nutrition for those looking for serious results. 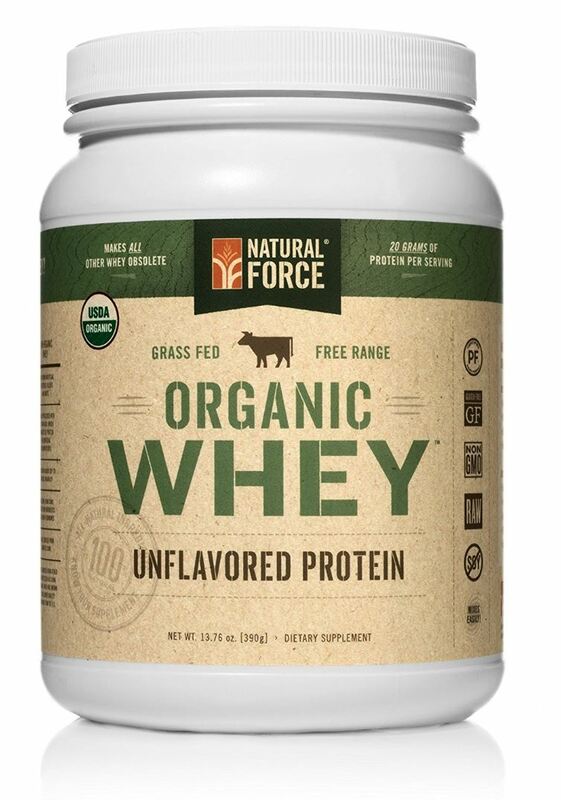 Natural Force’s Organic Whey Protein Powder is loaded with a rich amino acid profile sourced from the milk of free-range cattle, pasture-raised on an organic grass-fed diet. Natural Force manufactures whey protein through an acid-free, cold-temperature process to ensure maximum potency and quality of ingredients. This is one of the best whey protein powder supplements available on the market today and a must-try for anyone focused on maintaining a healthy organic diet. Below you’ll find a brief overview of the many great benefits of the Natural Force organic whey protein powder. When it comes to the benefits of protein powders—it’s all about the amino acids. 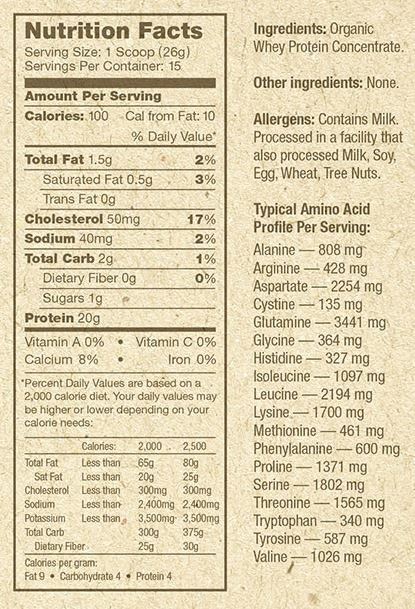 Amino acids are the tiny little compounds that your body uses to build larger protein structures like muscle. Whey protein powder has been the most popular protein powder supplement for bodybuilders and fitness enthusiasts alike. Sports nutrition is no simple science, comprised of the balance and critical study of nutrients and their effect on physiological performance. Research has shown the powerful profile of amino acids, and branched-chain amino acids (BCAAs) found in whey protein powder to be among the most effective of all protein precursors (R). Whey protein powders are renowned for the depth of their overall amino acid profile, which includes such branched chain amino acids as L-Leucine, Isoleucine, and Valine. 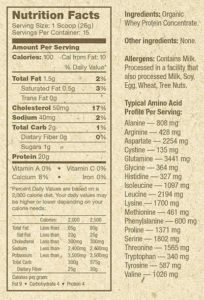 Other protein isolates rarely come close to this range of amino acids, though some plant-based blends can offer a similar composition. 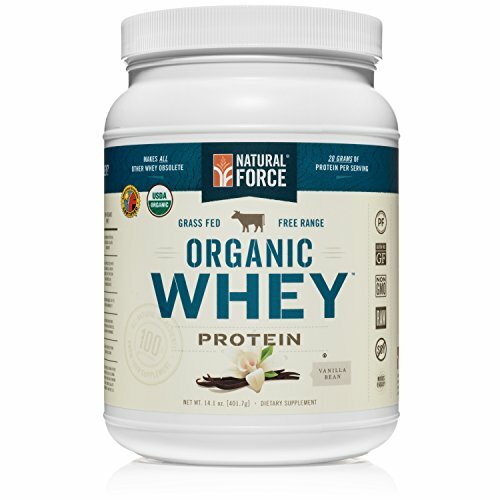 Natural Force’s whey protein is organic, non-GMO, and free of other random ingredients found in many similar products. That means no added sugar, coloring, flow agents, or non-essential ingredients that aren’t helping you build muscle. If you want an ice-cream sundae for a protein powder—look somewhere else! Natural Force produces all its products under strict cGMP guidelines. This helps assure customers that their products are free of toxic residues, are as potent as possible, and that any potential issues will be well-handled. Read our article on dietary supplement GMP guidelines to learn more about this. Natural Force products are widely available online as well as in traditional brick and mortar retailers such as Natural Grocers and some Target locations. To check to see if Natural Force products are available near you, visit the Natural Force store locator page. These products are also available in a variety of flavors directly from the Natural Force website or other online retailers such as Amazon. NOTE: This product comes in three flavors so check the label to ensure you’re getting the one you want. There is a vanilla, chocolate, and unflavored variety. Natural Force’s protein powder is one of the best of its kind. It contains a superior composition of amino acids, is produced under strict GMP guidelines, and is readily available in stores and online. It’s on our list of top-rated protein powders and you’ll be hard-pressed to find another product that outdoes Natural Force for overall quality and purity. Natural Force is a force to be reckoned with for supplement companies that have relied on marketing and popularity to overcast attention to ingredients. This Organic Whey Protein Powder is sourced from pasture-raised, grass-fed cattle, processed without acids, and never exposed to high temperatures. This protein powder possess a full profile of amino acids and branched chain amino acids essential to maximizing results.